You could listen to Daniel on NPR's Fresh Air with Terry Gross today. 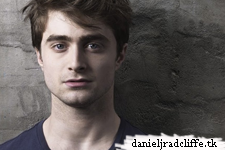 He talked about Kill Your Darlings, but also about Harry Potter and more. Audio below.